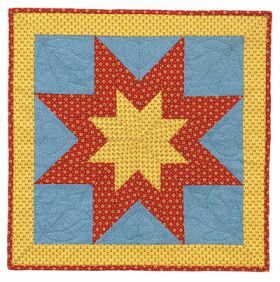 You'll love how foundation piecing simplifies this lovely pattern. There are no set-in seams, and each wedge of the block has just five pieces. 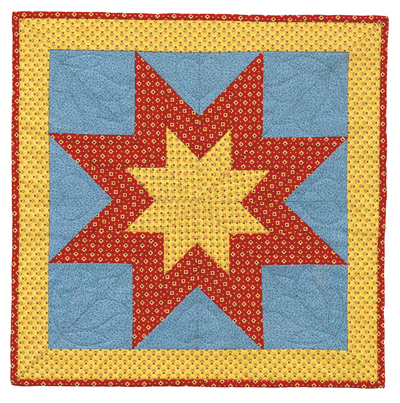 The designer used traditional Pennsylvania Dutch colors: chrome yellow, bright red, and the closest thing she could find to a traditional color called "Pennsylvania blue." 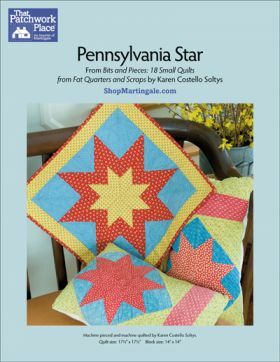 Finished size: 17½" x 17½"
Karen Costello Soltys has been quilting since 1979, and she also enjoys rug hooking, knitting, and basket making. 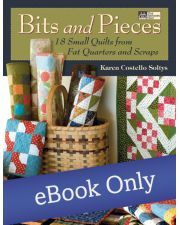 She has contributed her designs to several books and has edited scores of quilting books over the past 15 years.